The German 1918 Offensives: A Case Study in the Operational Level of War. One of the topics I have recently found fascinating is military doctrine. Not so much in the form of abstract theorists of the art such as Sun Tzu or Von Clausewitz, but in the way at which different armies develop their own conceptions of doctrine, often in a way that reflects their national character. In the early United States, there was an almost religious faith in the concept of progress. Combined with Napoleon Bonaparte’s own military career starting in the artillery, the result was to render the Engineers the most prestigious branch of the US army, attracting the highest caliber of West Point graduates. Sometimes this paid off; Robert E Lee was a prominent example of an Engineer who managed to make the transition to field command in the US Civil War without the obsessions with logistics and slow methodical movement which typified so many of his contemporaries. But others, such as Henry Halleck, Don Carlos Buell, and most prominently George B. McClellan, all whom graduated at or near the top of their class, proved disappointments in the field. Obsessed with the need to secure lines of supply, they often moved so slowly that they undermined the security of their supply lines by freeing opposing forces to interdict them, safe from the prospect of being attacked. In the end, the most successful field commanders ended up being those like Grant or Sherman who had struggled academically. This raises another point about doctrine. Once adopted, it becomes almost a religion, and dissent is heresy, punished by excommunication, as Henri Petain found when he dissented from the French Army’s pre-WWI obsession with the importance of morale of attacking forces by suggesting that in future conflicts firepower would be more important. He was exiled to govern the artillery school, much as he would himself exile his protégé Charles De Gaulle for advocating independent armored forces. That is what made this book so interesting. The German 1918 Offensives: A Case Study in the Operational Level of War, is as much about the United States military and its present doctrine as it is about Ludendorff and his actions in 1918. 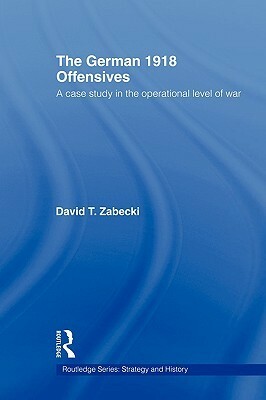 David B Zabecki, the author, attained the rank of major general in the United States Army, and his book expounds upon the American doctrine of “operational art of war” alleging that the failure of the Germans to embrace it led to their defeat in both world war, albeit specifically in 1918. The “operational level of war” posits a distinction between the “tactical” level of operations, where one emphases the defeat of enemy forces and capture of territory by using terrain, weapons, tactics, and the operational level where one seeks to win wars. Inherent is the conviction that in the modern world the tactical and operational levels have diverged such that not only do tactical successes not intrinsically produce operational results, but they can in fact prove counterproductive by leaving successful forces in a less advantageous position than where they started. In simple terms, “the operational level of war” as a doctrine posits that battles are purely facilitative. To Zabecki, while the Germans were immensely innovative in tactical terms during the first world war, the limitations of their staff system became apparent when the professionals who traditionally served as Chiefs of Staff usurped the powers of army commanders, with Ludendorff’s de facto elevation to commander-in-chief in his role as Quartermaster general the most dramatic example. 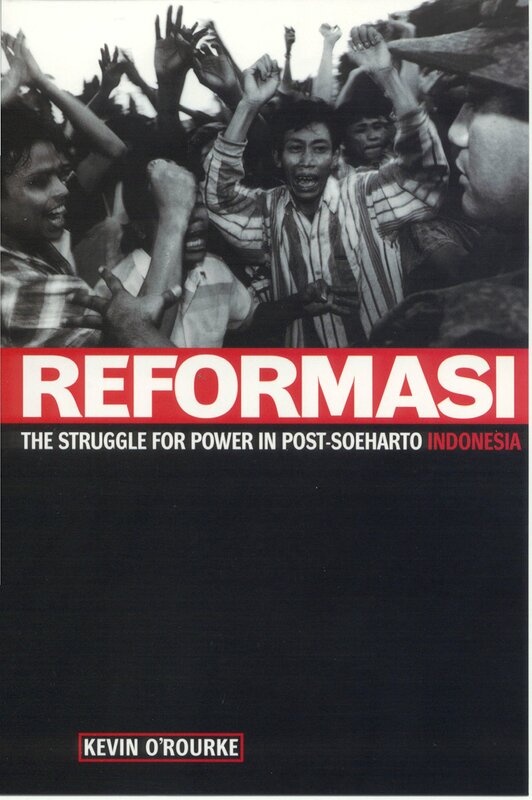 Focused on battlefield success, they presumed that enough of them would “add up” to a victory of value. The result was offensives that aimed at gaining the maximal advances and most dramatic successes against enemy forces, rather than targeting specific objectives such as railheads. In Flanders, the entire British expeditionary force depended on railines running through Hazelbruck for supplies, while a similar situation applied to the French at Amiens. Neither city was the main target of any of the German offensives, but both nearly fell nonetheless. Had they done so, they might very well have triggered an allied collapse. At the very least, the fall of Hazelbruck would have rendered the entire British position in Flanders unsustainable and forced a withdrawal reminiscent of Dunkirk. Yet the German leadership ignored them in favor of achieving advances against enemy armies. This was exacerbated by the German tendency to divert reserves to where attacks showed unexpected success, rather than to reinforce areas where they had run into trouble. In abstract this sounds sensible; one should exploit successes, even unexpected. But as Zabecki argues, that assumes that the original plan did not have specific objectives for a reason. If the original objectives are 5 miles away, and are vital supply arteries, it is far more important to throw ones reserves at them than to advance 50 miles into open ground, even if the latter looks impressive and results in massive numbers of prisoners being taken. In fact, the very success of the German offensives in grabbing territory, and the tendency of German commanders to redeploy their reserves to where they could advance furthest rather than where advances would matter, resulted in a situation where by the summer of 1918 the German army had arguably defeated itself. At a cost of nearly 900,000 casualties it had taken a vast amount of territory which had extended the lines it had to defend with less troops to do it with. Furthermore, the new lines being established not by choice, but rather by where the offensives ran out of steam, were located in terrain far less advantageous to defense than the original German lines, were harder to supply given that former “No Man’s Land” lay between the old and new German positions, and which there was little time to fortify. The supply situation meant that a resumption of the offensives, even had the forces existed, would have been much harder than previously, and absent such a resumption, the Germans were worse off. Yet they could not withdraw. To give up ground which had cost so many lives would have been to destroy the morale of the army, and furthermore, to admit that the offensives, and hence Germany’s one chance to win the war, had failed. The argument is convincing, as it might well be; the US military has since the Second World War made the “operational level of war” the heart of its doctrine. Focusing on the overriding value of logistical choke points, it argues that modern armies cannot function without supplies or a clear front, and therefore that occupying key points in that supply chain will force enemy forces to retreat even if undefeated in the field. Its application explains a lot about the American ability to liberate France in 1944 with incredibly light losses, and the Inchon landing in Korea is probably the example par excellence. In Vietnam, however, it failed badly. Efforts to interdict the Ho Chi Minh trail through massive bombing campaigns failed to force a Viet Cong collapse, even when extended to Laos and Cambodia. Efforts to apply it subsequently have proved mixed, with success accruing due to sheer force(Kosovo), or proving temporal(Surges in Iraq and Afghanistan). Arguably, the problem in all of those cases lay with the failure to identify an operational objective capable of producing victory, but one of the premises of the theory is that they exist, and the idea of a conflict where they do not may well explain the reluctance of the US military to intervene in Bosnia. Whatever its drawbacks, there is much to learn from the concept of an “operational level”. I have applied in teaching my secondary school debaters the importance of sticking to their objectives rather than abandoning preexisting strategies to merely exploit the mistakes of opposing teams, unless they have a clear idea of how doing so will lead to victory in a round. In the case of the Germans in 1918, I am perhaps less convinced than Zabecki that they could have won the war in the West with a better doctrine, but I am persuaded by him that the German approach to their offensives ensured that what little chance they had would be wasted.